Simple idea. Storing energy as compressed air. It’s been done before, but with a fossil fuel assist that made it more carbon intensive and expensive. This is a big deal. There will probably not be a one size fits all answer to energy storage – and storage is not needed nearly as much as some people think, but improvements like this will give planners more options and flexibility in designing distributed systems in coming years. SustainX, an energy storage technology developer, has completed construction and begun startup of the world’s first megawatt-scale isothermal compressed air energy storage (ICAES) system (detailed description available here). The system stores and returns megawatts of electricity to provide long-term grid stability and support integration of renewable energy sources like wind and solar. The 1.5-megawatt isothermal compressed air energy storage system is located at SustainX headquarters in Seabrook, New Hampshire. It takes electricity from the grid and uses it to drive a motor that compresses air and stores it isothermally, or at near-constant temperature. To do so it captures the heat produced during compression, traps it in water, and stores the warmed air-water mixture in pipes. When electricity is needed back on the grid, the process reverses and the air expands, driving a generator. No fossil fuel is needed to reheat the air and no emissions are produced, making ICAES a safe and sustainable energy storage solution. Another in a series of background posts to bone up for the release of IPCC 5th Assessment Report (AR5) on Friday. It’s a piece by Stefan Rahmstorf, who I’ll be joining in Reykjavik next week for a conference on climate change communication. German Voters: Renewables? Why, Yes. More Please. The League of Conservation Voters has recently come out with a series of advertisements targeting politicians based on their climate positions, and in the Virginia Governor’s race, climate-denialist and anti-breast freak Ken Cuccinelli has been called out specifically for his rabid attacks on climate scientists. Cuccinelli is now well down in the polls, as his naked appeal to the farthest of the far right is proving to be a liability in that bellweather state. Politico has reported that the reality-challenged caucus may be starting to drag on the frayed Republican brand. Now we have results from new elections in Germany. It’s become a more important tactic in recent years for the climate denial movement to bash the German Energiewende – the world-leading push by one of the most highly developed manufacturing nations to power itself using renewable energy. We’re told that the program is expensive and unpopular – but that’s not what German voters are telling us, as they gave Angela Merkel’s ruling party an historic victory, while shutting out the party most identified with climate denial and opposition to renewables. The center-right Free Democratic Party (FDP) has been eliminated in Germany’s government by failing to meet a 5% minimum threshold in the federal election on September 22nd, 2013. This removes the only political party calling for a repeal of the nation’s feed-in tariff law (EEG). German Chancellor Angela Merkel’s Christian Democratic Party (CDU) won the most votes but not a majority, and now must form a coalition with one of the other three main parties, the Greens, the Social Democrats (SPD) and The Left (Die Linke). Germany has voted, and the new Chancellor is the old one. But although there is no change at the helm, the situation has greatly improved for renewables. Supporters of renewables have reason to rejoice this week, for the FDP has failed to get 5% of the vote, the limit required to enter parliament. It is the first time in the history of the German Republic that the FDP, a libertarian party, has not been represented in the Bundestag. The FDP does not, however, properly represent citizen liberties, but rather big business. Thus, it was possible for the Pirate Party to get several percentage points of the vote based largely on a platform of internet user rights. Had the FDP correctly understood what liberal politics is, there would have been no need for the Pirates at all. In the case of renewables, the FDP wanted to put an immediate end to the citizens movement that is the Energiewende – not just a transition to renewables, but a challenge to the oligopoly in the energy sector. The FDP never represented the personal right to make your own energy. Now, community ownership can continue. IPCC AR5, at least the first parts of it, will be coming out this friday. Don’t ask me how it is that IPCC still wants to put out their most important media product in a friday news dump. I’m too tired to flog that horse. Anyway, leading up to that, rather than pretend I’ve got the leaked documents, I thought it would be productive to post discussions of what are sure to be some of the major talking points – they’ve already emerged – climate sensitivity and the purported “pause” in global warming. Zeke Hausfather, a careful researcher and writer, has been doing some thinking about the issues. Climate ‘skeptics’ down-play the sensitivity of Earth’s climate to increased CO2 emissions and concentrations, and so might some policy makers. In the end, it’s the emissions and concentrations that most matter rather than uncertainties about climate sensitivity. Climate sensitivity is suddenly a hot topic. Some commenters skeptical of the severity of projected climate change have recently seized on two sourcesto argue that the climate may be less sensitive than many scientists say and the impacts of climate change therefore less serious: A yet-to-be-published study from Norwegian researchers, and remarks by James Annan, a climate scientist with the Japan Agency for Marine-Earth Science and Technology (JAMSTEC). While the points skeptics are making significantly overstate their case, a look at recent developments in estimates of climate sensitivity may help provide a better estimate of future warming. These estimates are critical, as climate sensitivity will be one of the main factors determining how much warming the world experiences during the 21st century. Climate sensitivity is an important and often poorly understood concept. Put simply, it is usually defined as the amount of global surface warming that will occur when atmospheric CO2 concentrations double. These estimates have proven remarkably stable over time, generally falling in the range of 1.5 to 4.5 degrees C per doubling of CO2. * Using its established terminology, IPCC in its Fourth Assessment Report slightly narrowed this range, arguing that climate sensitivity was “likely” between 2 C to 4.5 C, and that it was “very likely” more than 1.5 C.
The wide range of estimates of climate sensitivity is attributable to uncertainties about the magnitude of climate feedbacks (e.g., water vapor, clouds, and albedo). Those estimates also reflect uncertainties involving changes in temperature and forcing in the distant past. But based on the radiative properties, there is broad agreement that, all things being equal, a doubling of CO2 will yield a temperature increase of a bit more than 1 C if feedbacks are ignored. However, it is known from estimates of past climate changes and from atmospheric physics-based models that Earth’s climate is more sensitive than that. A prime example: Small perturbations in orbital forcings resulting in vast ice ages could not have occurred without strong feedbacks. Water vapor is responsible for the major feedback, increasing sensitivity from 1 C to somewhere between 2 and 4.5 C. Water vapor is itself a powerful greenhouse gas, and the amount of water vapor in the atmosphere is in part determined by the temperature of the air. As the world warms, the absolute amount of water vapor in the atmosphere will increase and therefore so too will the greenhouse effect. That increased atmospheric water vapor will also affect cloud cover, though impacts of changes in cloud cover on climate sensitivity are much more uncertain. What is clear is that a warming world will also be a world with less ice and snow cover. With less ice and snow reflecting the Sun’s rays, melting will decrease Earth’s albedo, with a predictable impact: more warming. Using global climate models to test the response of a doubling of CO2 concentrations. These methods produce generally comparable results, as shown in the figure below. Figure from Knutti and Hegerl 2008. Good news for the planet is, of course, Mr. Yuck for climate deniers. Four key technologies in ascendance. Wind, for instance. A new report from Michigan Public Service Commission shows that wind energy is now “essentially equivalent” to conventional generation in cost. Michigan’s current Renewable Portfolio Standard (RPS) requires electric providers to ramp up their use of renewable energy in order to obtain 10% of their electricity sales from renewable resources in 2015. Those goals are expected to be met in nearly all cases, and the exception has announced plans to wind down service. The RPS has resulted in approximately 1,400 MW of new renewable energy projects operating or currently under development in our state (94% of these new projects are wind energy projects and approximately half are non-utility owned). By the end of 2013, in total, Michigan consumers will have paid approximately $675 million in surcharges supporting this expansion. Due to decreases in renewable energy costs, surcharge collections are expected to be significantly reduced or even eliminated for some electric providers beginning in 2014, because project costs are in some cases essentially equivalent to conventional generation under current conditions. ..and continuing to get cheaper, I might add — because the more fossil fuels you use, the more expensive they get, but with renewables, its just the opposite, the more you use, the cheaper they get. Of course, wind has the advantage of being, well, free – in the sense that utilities and customers know that the base cost of the fuel will be the same 25 years, and 2500 years, from now, as it is today. For utilities, this makes signing a 20 year contract much easier. 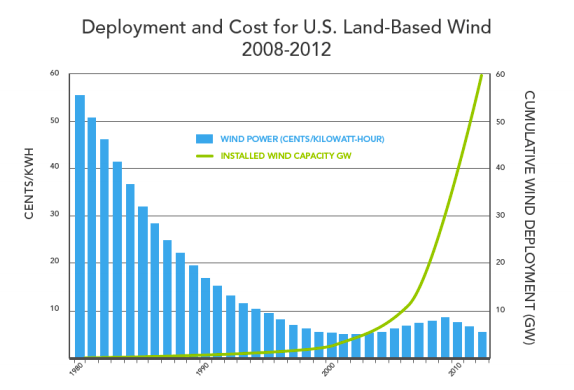 Falling wind turbine prices are pushing installed project costs lower. Wind turbine prices have fallen 20 to 35% from their highs back in 2008, and these declines are pushing project-level costs down. Based on a large sample of wind projects, average project costs in 2012 were down almost $200/kW from the reported average cost in 2011, and down almost $300/kW from the reported average cost in both 2009 and 2010. Among projects built in 2012, the windy Interior region of the country was the lowest-cost region, with average project costs of ~$1,760/kW. Wind energy prices have been falling since 2009, and now rival previous lows.Lower wind turbine prices and installed project costs, along with improved capacity factors, are enabling aggressive wind power pricing. After topping out at nearly $70/MWh in 2009, the average levelized long-term price from wind power sales agreements signed in 2011/2012 – many of which were for projects built in 2012 – fell to around $40/MWh nationwide. This level approaches previous lows set back in the 2000-2005 period, which is notable given that wind projects have increasingly been sited in lower quality wind resource areas. Wind energy prices negotiated in 2011 and 2012 are generally lowest in the Interior region of the U.S., with prices averaging just above $30/MWh, and typically ranging from $20-40/MWh. Even with today’s very attractive wind energy prices, however, wind power sometimes struggles to compete with what are currently very low natural gas and wholesale power prices in many parts of the country. Since 1999, the average wind turbine has increased electrical output by 260 percent. So although turbine prices have risen in recent years, the cost of electricity from wind has fallen to around 5 cents per kilowatt-hour — a 90 percent drop since the 1980s. In 2012, wind was the single largest source of new electricity capacity in the U.S., beating even natural gas. As we recently pointed out, there is now a solar PV system installed in America every four minutes, up from every 80 minutes in 2006. According to GTM Research’s Solar Market Insight report, the national average price of an installed PV system declined by 26.6 percent in 2012. That drop has been helped by a strong reduction in module costs and pricing due to global oversupply. The DOE points out that the cost of a solar module in 2012 is 1 percent of what it cost 35 years ago. If this upsets your stomach, peppermint tea works wonders. So, the Detroit Lions ended a 21 game losing streak in Washington (back to 1939), beating the Redskins, former NFC East Champs, who are now 0 and 3. In the past, Lions fans would have been high-fiving and remarking that this, no doubt, was the beginning, at last, of the big turnaround for the Lions. But the hard facts have always caught up with us. The Lions are just too thin on talent to endure over the season. They’ll fold like a cheap suit in coming weeks. Which brings me to Arctic ice. As regular as the seasons, any fall that does not bring a new record low in arctic ice extent is hailed as a “recovery” by the climate denial media. I get it. They must be feeling more and more like Lions fans as the planet keeps finding new ways to show us that climate change is just warming up – and the collapse of arctic is the most visible, most dramatic manifestation of that process – anything they can do to deny that reality, they will try. The animation above shows just how fragile and slushy this year’s ice “recovery” was. Here’s this year’s tale of the tape. The Arctic is on course for an ice-free summer within the next few decades, as scientists on Friday declared that sea ice in the region had fallen to one of the lowest annual minimums on record. He went on: “We could be looking at summers with essentially no sea iceon the Arctic Ocean only a few decades from now. In the run-up to the release next week of the United Nations’ blockbuster global warming report, climate doubters have seized on the apparent “recovery” of sea ice, compared to last year’s death spiral, as evidence that there is no need for concern about the melting of the Arctic sea ice. 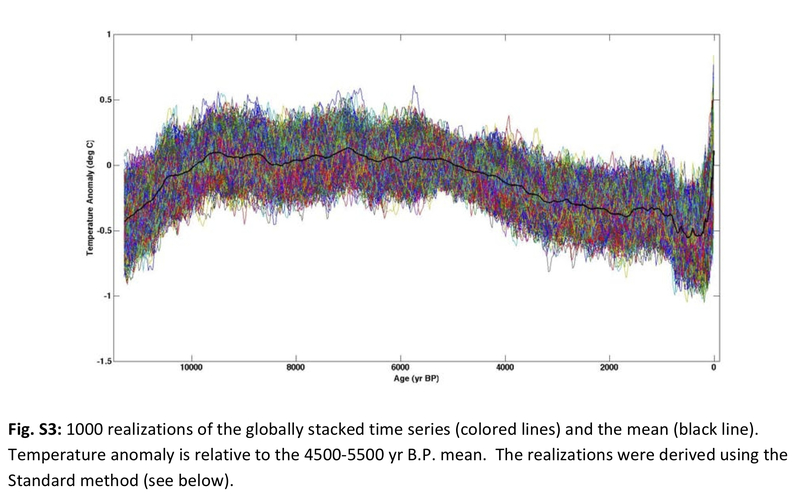 But satellite images going back to 1980 and records compiled by scientists using ice cores and tree ring data going back as far as 1870 show a continued and dramatic long-term decline in summer sea ice. 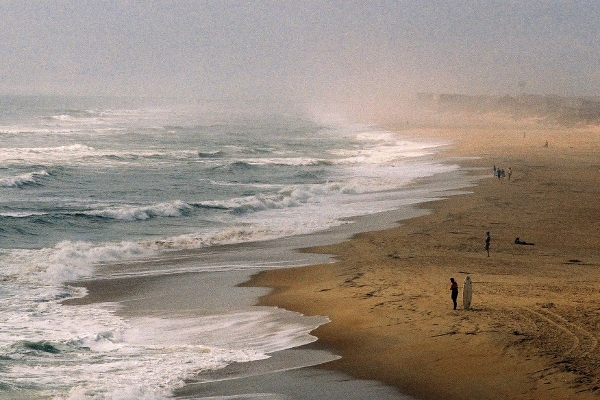 Julienne Stroeve, another NSIDC researcher, noted that this year’s low minimum was reached amid cooler temperatures than the last several summers, which helped to slow melting. “We had a pretty cold summer in general for the time period we’re looking at and yet the sea-ice cover didn’t recover to the extent that we had in the 1970s and 1980s,” she said. 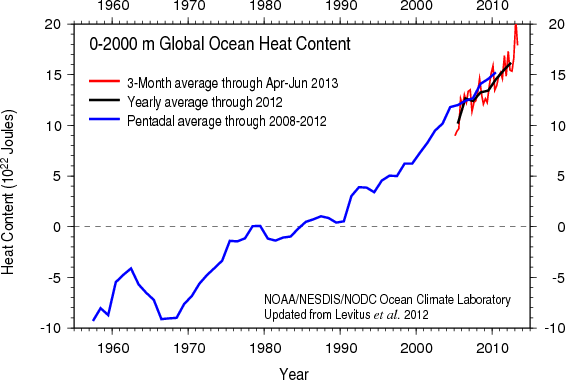 Last year’s ice extent was so low that this year’s recovery looks larger by comparison, Dr. Meier said. The main reason for this year’s growth, Dr. Meier added, was that the region was colder and cloudier through the spring and summer than in the recent past.